Last week I started off the January stitchalong and I promised you some details of my first attempt at couching. So, without further ado, here we go! 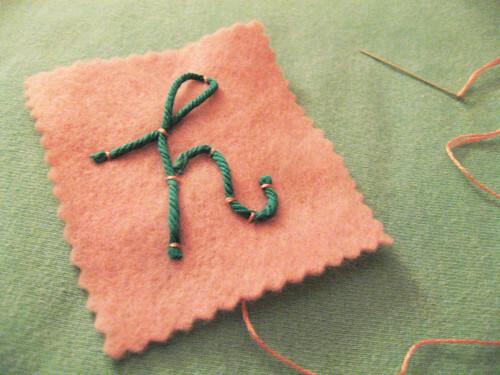 Step 2: Loop your yarn to form the first part of your "h"
I chose a chunky weight yarn, but experiment with whatever yarn you have on hand. Every yarn has a different "drape" so try a few and see what you like! 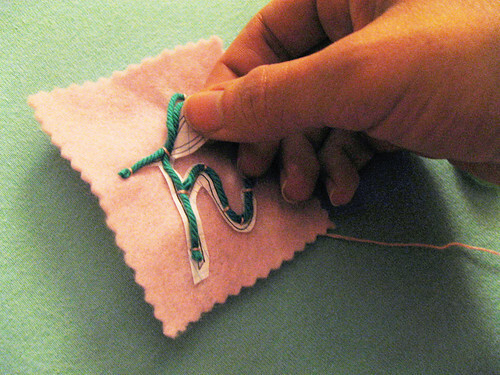 This is the trickiest step - don't panic if your stitches come loose - just have your needle ready to re-stitch as necessary. Stitch as much or as little as you like. 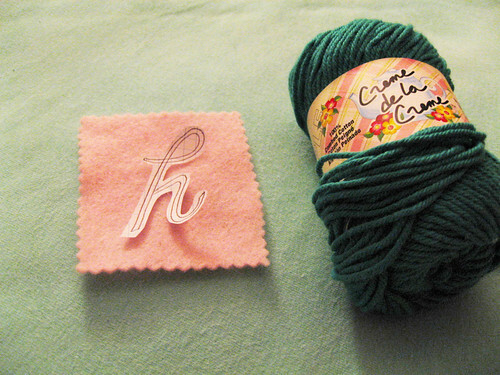 Also, experiment with thread color vs. yarn color - I chose a combo that would show up nice and contrast-y for these pics. 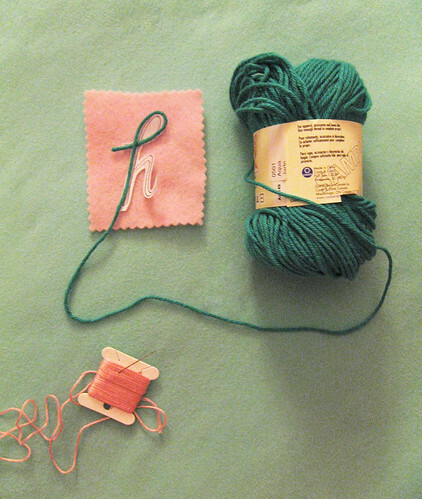 :) My advice in terms of color (since I am usually stumped) is keep it simple - I used three shades of felt I had on hand and 1 shade of floss. 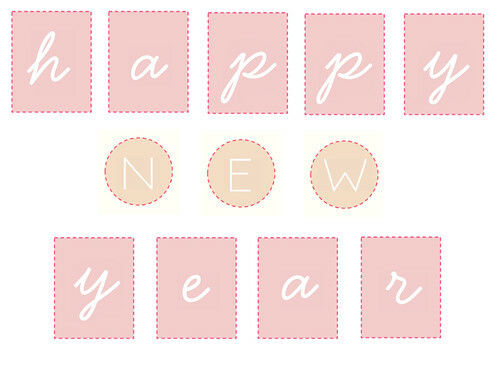 From your comments, you guys are interested in a range of things, so feel free to experiment with couching, use the banner templates, use just the alphabet, or whatever you like! 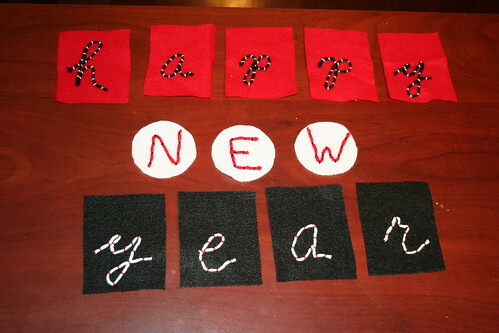 To join in, just add your photo to the embroidery group and tag it "JanStitchalong"! 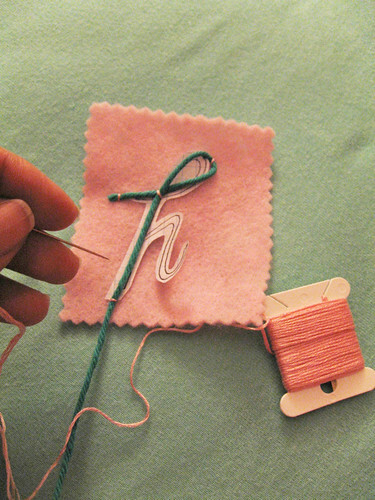 Some of you joined in right away - I love tamaratamara's elegant take on this stitchalong! And one of you already has a banner ready to go! Bravo, kghawkes, for your first try at couching!!! So, what do you say? 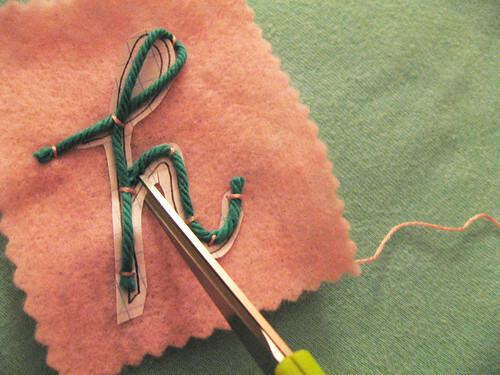 I think we need to see some more stitching! :) I'll be back soon with more updates!!! It looks great! I have never tried it! Currently, I'm trying paper quilling and making snowflakes! how many strand of floss did you use? I am very new to embroidery and I love all the info I can get! oh my gosh I am in love with this idea!!! just stunning!! Thanks everybody for your nice words! Hope you can join us! 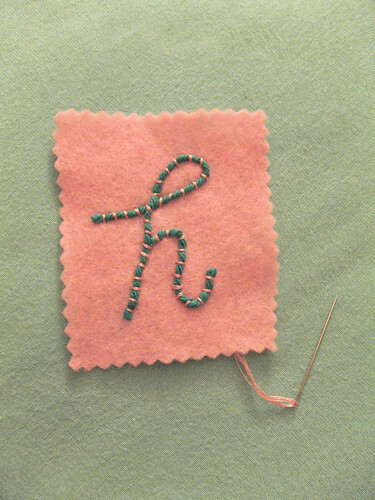 Oh perfect- I need to make a name tag for a contest in my new quilt guild, and was trying to figure out how to put my name on. This technique will be just the ticket!!! 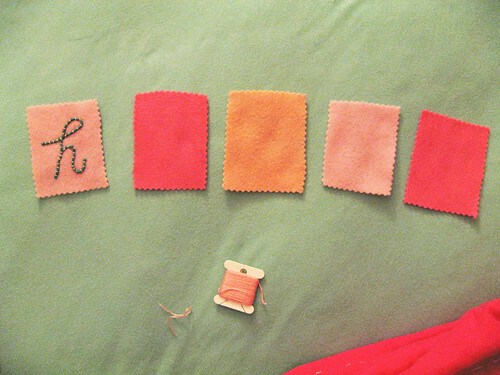 This couching tutorial is pure wonderfulness. 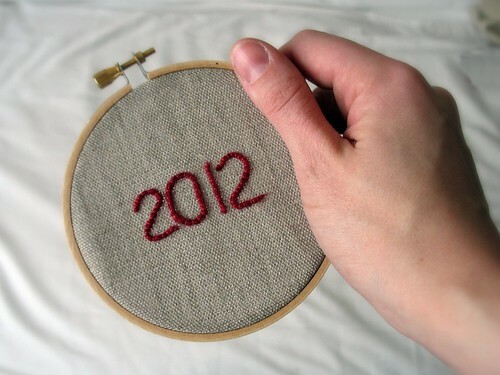 Makes me feel brave enough to stitch. Thanks! this tutorial is amazing- thank you! 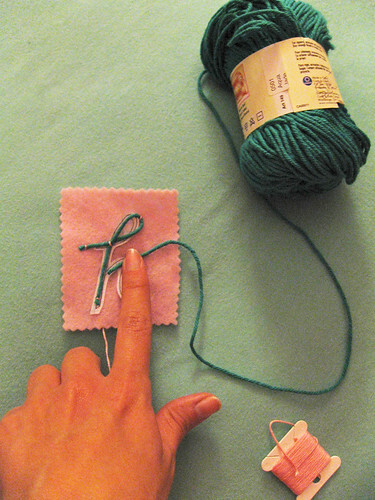 i linked to your page on my blog- these instructions are perfect! Ohhh soo cute!! I want to try! !